Dramatically Develops & Improves: Passing, Control, Dribbling & Shooting a Football! The correct contact points on their foot by using the coloured areas on the boot glove. The correct contact points so they improve their skills for a stationary or moving ball. 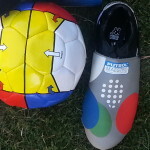 For best results, one should use the Futbol Maestro Football and Boot Glove in combination. 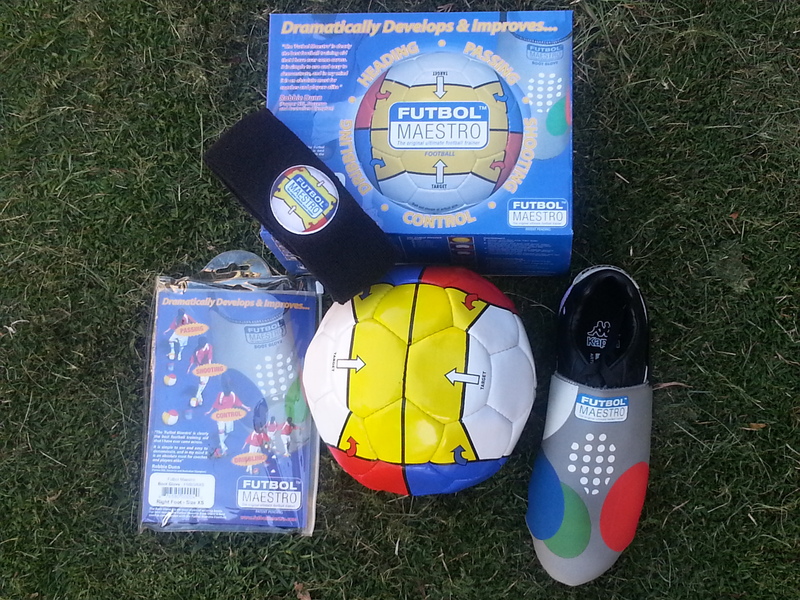 The Futbol Maestro is perfect for coaches who may not have a lot of football experience. Coaches and parents will understand the basic skills because it’s so simple to use. Players are able to teach themselves while enhancing and further developing a variety of skills. Individual orders for this product can be placed online at www.futbolmaestro.com or for Bulk orders and any product enquiries please email us at futbolmaestro@optusnet.com.au.